UMBC’s Department of Psychology opened a mental health clinic on September 15, 2014. The clinic provides evidence-based treatment for behavioral health issues, including individual and group therapy for anxiety, depression, substance use, health challenges, relationship and family issues, and other types of mental and emotional health challenges. Fees are on a sliding scale and designed to make treatment affordable. The clinic is a teaching facility operated by the Psychology Department that provides training for UMBC graduate students pursuing a PhD in Clinical Psychology. UMBC’s Clinical Psychology training program emphasizes the importance of connecting scientific inquiry to clinical practice. Consistent with this approach, clinic activities are science-informed. Clinic Director Dr. Rebecca Schacht manages the clinic with consultation with Psychology Department clinical faculty. Dr. Schacht and other licensed psychologists on the faculty and in the community provide close supervision of graduate students, who provide direct services to patients in the clinic. 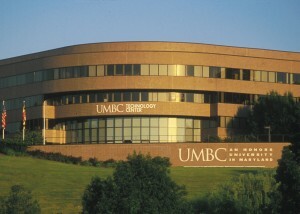 The Clinic is housed in the Psychology Training, Research, and Services Center (PTRSC) at UMBC’s South Campus Research and Technology Park on South Rolling Road. For more information, please call us at 410-455-5530. Assessment and testing: We now provide assessment services for cognitive and learning disabilities. These services are appropriate for obtaining testing and other accommodations in educational environments. Assessments usually consist of 2-3 visits to the clinic and cost $500-$2500 depending on your income. We will be happy to provide a cost estimate on the phone. Group therapy for smoking cessation: Beginning in September 2015, we will be offering group therapy for smokers who would like to reduce their smoking or stop entirely. We use a nonjudgmental, motivational approach designed to support smokers in their journey to better health. Support for physical health challenges: Many people are challenged by physical issues like insomnia, chronic pain, and weight loss. In many cases, mental health treatment can make these problems more manageable. We can help you meet your health goals using an individualized, motivational approach. Mental health treatment: We see many people working with depression, stress, anxiety, trauma, life changes, and substance use challenges. Couple therapy: Many couples find that they benefit from help with relationship and marital issues. We provide evidence-based conjoint therapy based on Jacobson and Christensen’s Integrated Behavioral Couples Therapy. We are located at UMBC’s Research and Technology Park South, close to the entrance to Interstate 195, about two miles from UMBC’s main campus. The address is 1450 South Rolling Road, Halethorpe MD 21227. From I-195, turn left onto Rolling Road and follow signs to bwtech@umbc south. We welcome clients from UMBC and the community. Clients do not have to be associated with UMBC to be seen at the clinic. If you call the clinic looking for services, we will talk with you for about 15 minutes to tell you more about the clinic and find out the basics about what kind of help you’re looking for. If it seems like the clinic will work for you, we will ask you to come in for an intake appointment. During this appointment, you will complete questionnaires and an in-person interview with one of our clinicians. This is a good time for you to ask more about our clinic and what we offer, and for us to find out more about you and what sorts of help you’re looking for. After this appointment, we will work with you to develop a treatment plan to help meet your mental health needs. How much does therapy at the clinic cost? Our fees are designed to be affordable for most people and are priced well below market rates in the Baltimore area. To set our fees, we use a sliding scale that takes income into consideration. To be eligible for sliding scale fees, you must bring current proof of income to your intake appointment. We are always happy to provide fee estimates on the phone. What does “Training Clinic” mean for clients? Services at the clinic are provided by student clinicians who are training to become clinical psychologists. Our clinicians are working on a PhD degree in Clinical Psychology at UMBC’s Human Services Psychology Program. They are supervised by UMBC Psychology faculty and psychologists in the community, all of whom are licensed psychologists. Students audiotape their therapy sessions, which allows supervisors to listen to these sessions and provide more informed supervision as a result. This approach is widely used in the training of clinical psychologists and other mental healthcare providers. Being a training clinic also affects fees and billing. We receive financial support from UMBC, which allows us to charge fees that are lower than what psychologists typically charge. Most insurance companies will not reimburse for services provided by trainees; therefore, we do not accept insurance. What kind of treatment is offered at the clinic? We train our students in evidence-based practice, defined by the American Psychological Association as “the integration of the best available research with clinical expertise in the context of patient characteristics, culture, and preferences.” This means that we consider relevant scientific findings and work collaboratively with clients to develop treatment plans that we think will be effective to address clients’ presenting problems. We help people with many different mental and behavioral health challenges. We welcome new clients, so please call today to find out if the clinic is a good fit for you!